A devastated dad has spoken for the first time about the tragic death of his 16-year-old Birmingham daughter, who died in her sleep from heart failure. 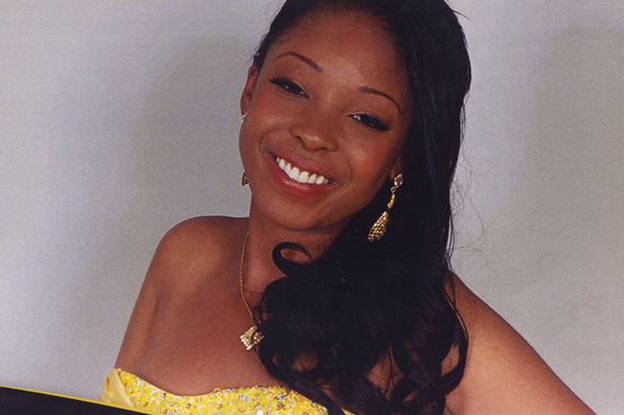 Chanel-Lee Easy had enjoyed a night dancing with her cousins before she passed away at her family home in Erdington. The aspiring lawyer was found dead in bed on October 2, 2011, and a coroner later ruled the former Highclare School pupil died of natural causes. He said: “It has been a difficult and challenging journey since I lost my only child. It still feels unreal. She was my world. “She was truly an angel. Her infectious smile was known to fill a room with joy and happiness. She would embrace anyone she came into contact with and would leave an impression on their lives. “Over the years I have been able to gain strength from the wonderful memories we shared and the ongoing support from family and close friends. Birmingham Coroner’s Court heard last year how the teenager had visited Good Hope Hospital complaining of a headache the day before her death. But a doctor who had examined the Arthur Terry School sixth former had tearfully told the inquest there was nothing to suggest she had a heart problem. Chanel-Lee spent her final hours having fun with her family, her mum Deborah told the inquest. News of her death was broken to Arthur Terry pupils in an emotional letter from the Sutton Coldfield school’s headteacher Christopher Stone. He said she “went to sleep and did not wake the next morning”. Her family is now honouring her memory and love of music with a fundraising memorial event at Birmingham Town Hall on June 6. Comedian Geoff Schumann and ITV presenter Genelle Aldred will host the concert, which also features Hannah Barrett from the 2012 X Factor. It will also include performances from local singers Denise Bryan, Eloquent Praise Dance Academy, the Matthews sisters, rap artist Jevoughn, and the Highclare School Choir. All proceeds will be donated to C-R-Y (Cardiac Risk in the Young), the British Heart Foundation and Highclare School’s Chanel–Lee Chanté Easy Achievement Award. The concert starts at 7pm and tickets are £15 for adults and £10 for students and under 16s. Call the Town Hall or Symphony Hall Box office for tickets on 0121 780 4949.